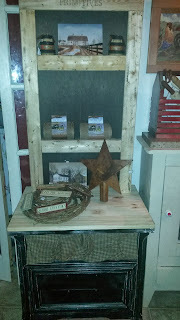 Since I sell many little items and crafts in my Booth #555 at the Peddlers Mall, I am always in need of more shelving. 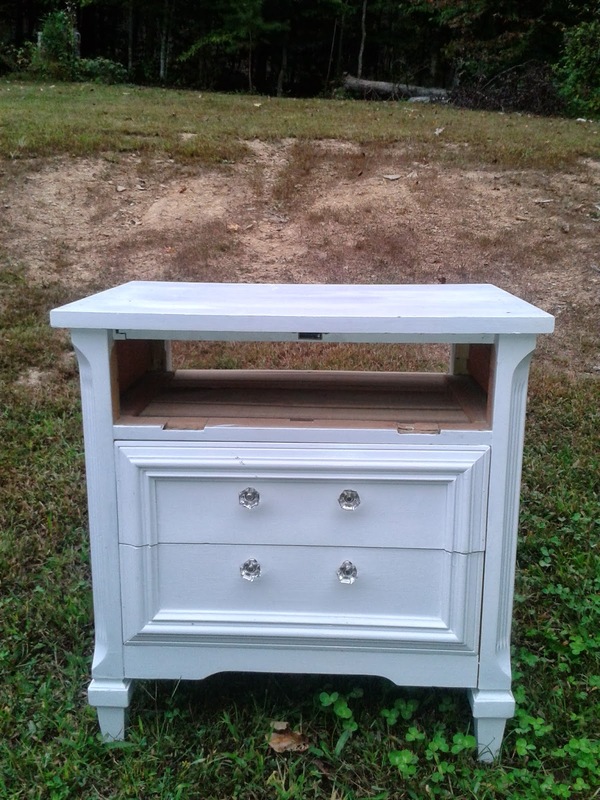 And the other night at a local auction, I won this little white night stand for only $5. Sure it needs some work, (has a top drawer missing!) but for $5 I knew I could do something with it. It's real wood, so it's sturdy. Something you don't hardly find now a days. lol. I took one can of Walmart brand black spray paint to it. 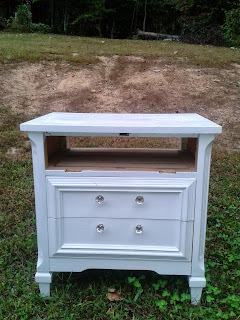 Then just roughly sanded all the edges after it dried. I liked it like that so I left it. 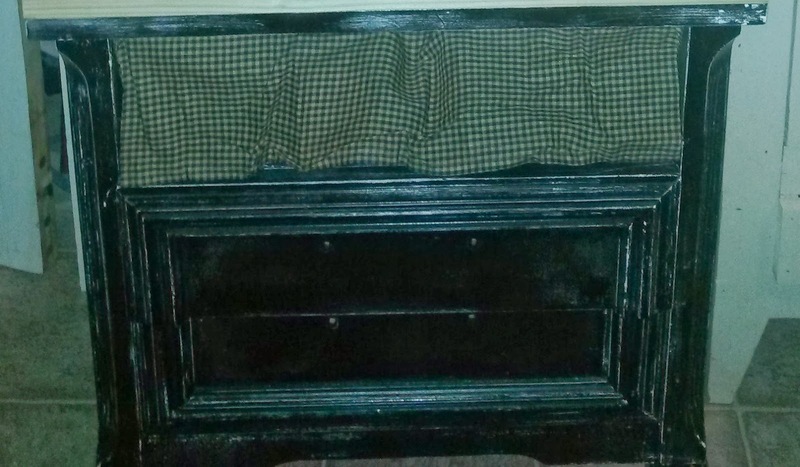 And where the top drawer was missing, I just stapled in a strip of black and white fabric. 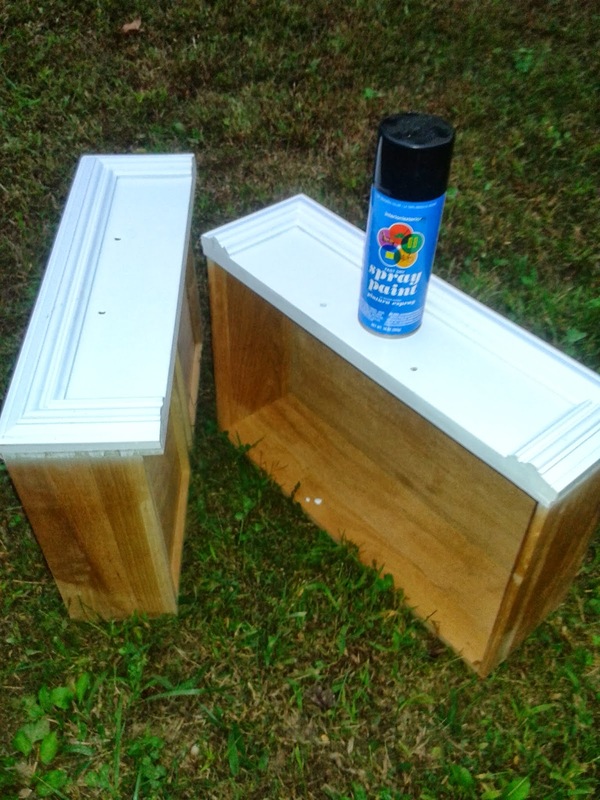 I got the idea to use some pine boards because we are currently remaking our kitchen and I just laid a piece on the top of the nightstand, and liked it. So it just went from there. And believe me, I do not do exact cuts and measurements. I'm bad with that stuff, but this one still turned out good. The pine boards are really easy to cut with just a simple jig saw. I used a few more 1x3 pine boards (maybe for trim?) and kinda just doodled a little drawing, in the shape of a basic ladder, kinda. lol. and just cut cut cut until I got it to looking like a little shelf. 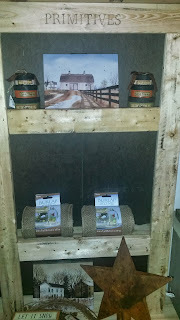 That is what I am putting on top of the night stand to give it height and extra storage/display in my booth. And here's what I came up with. It's perfect to add extra height in my booth and the shelves, even though small, lets me add extra items! I love it. And for the back. I went out into the garage, searching for something to make it a little bit more sturdy. And guess what I found. I had a black bookcase sitting out there holding on VHS Disney tapes. Lol. So I turned it around and removed half of the backing from that. Since it's not holding nothing great, I won't really care if it has a back or not. And I cut the cardboard type backing with regular scissors. That stuff is very thin! But it worked great! 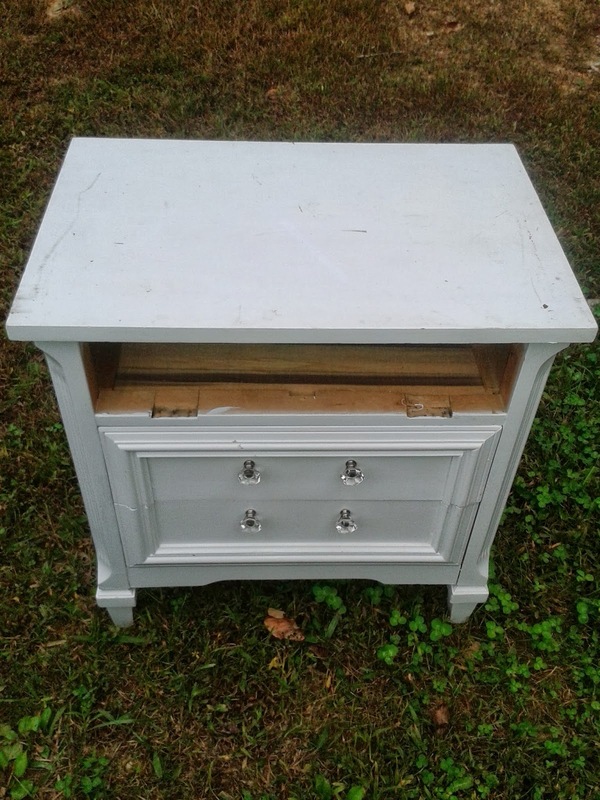 Hope you got some inspiration from this and can maybe turn an old broken piece of furniture into something useful in your home or your craft booth! The entire range of display booth available with Exhibe Corporation is fantastic looking, and made up of high quality material.